The city of lakes, Udaipur is called Venice city of the east. Maharana Uday Singh II, laid the foundations of Udaipur in 1568 after Mughal Emperor Akbar captured his Chittorgarh. According to stories, a holy man guided Uday Singh to set up his capital on the hill near Pichola Lake. This place, surrounded by the Aravalli series, forests, and lakes. Maharana Uday Singh died in 1572 and then Maharana Pratap who defended Udaipur from Mughal invasions. Maharana Pratap is considered to be the most respected Rajput personality and in 1576, he fought bravely from the Mughals inside Haldighati. Udaipur has also been the center of performing arts, handicrafts and its famous miniatures. City Palace, Udaipur is a palace built in the Rajasthan state of India. 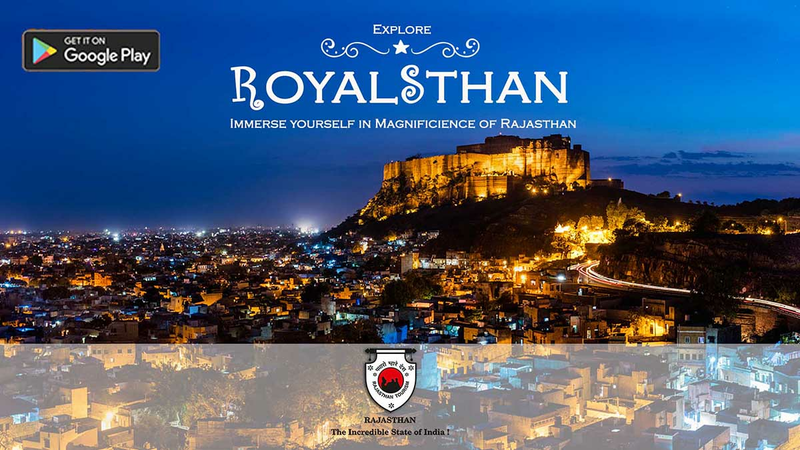 It was constructed nearly 400 years ago, many rulers of the Mewar Empire contributed to it. City Palace is built on the banks of Pichola Sarovar and many small buildings have been constructed in the palace. City Palace was constructed by the Maharana Uday Singh II with the construction of Udaipur city. His successor kings played an important role in his work. The kings were lived and ruled this palace, hence the palace is given the highest importance in the history of Rajasthan. Durbar Hall was constructed in 1909 for official programs within Fateh Prakash Palace. Where royal and majestic meetings were organized. The Gallery of this hall was used by the Majestic women to see the activities of the court. Durbar Hall is decorated with a large chandelier. At the same time, the arms of Maharaja and his huge pictures also appear to us in the hall. The foundation stone of this hall was built in 1909 during the reign of Maharana Fateh Singh by the Viceroy of India, Lord Minto. At that time it was also known as Minto Hall. The Dwar (Door) is also called pol in the local language. Through these doors, we can enter the palace. The main entrance to the city is 'Big Pole', which takes us to the first courtyard of the castle complex. The Tripura Pol, built in 1725 after the big pole, is situated in the north of the city. Dilkhush Mahal was constructed in 1620. And Choti Chitrasali was built in the early 19th century, here we can see pictures of peacocks. There is also another room named Krishna Vilas in the palace complex. Here, small paintings have been stored, in which of Shahi Jullus, Utsav and plays of Maharana are depicted. Lakshmi Vilas Chowk is an art gallery, where the paintings of Mewar have been stored. The Manak Mahal is connected to the Manak Chowk. It was built for the ceremonial view of the Mewar ruler. It is fully decorated with mirrors. We can see the religious symbol of the Sisodia empire here. Rang Bhawan is a type of castle used for keeping the royal treasure. There is also a temple of Lord Krishna, Meerabai and Shiva in Rang Bhawan. At present, Fateh Prakash Palace is a heritage royal hotel, in the Crystal Gallery of this hotel has crystal chairs, dressing tables, sofas, chairs and beds, table fountains, which are never used. Here is also an ornament-carved carpet. These antiques were brought by Maharana Sajjan Singh in 1877 from F & CO Osler & Company, London, but he had died before the goods came to India. It is said that even after the goods were returned to India, no one had opened their packing for 110 years. The Mor Chowk is built within the palace. It also has a peacock-shaped chamber built. Total three peacocks have been made in the room (which represent the cold, summer and monsoon three seasons). In the room, we also see ancient climates, which were built during the reign of Maharana Sajjan Singh, 200 years after the establishment of the City Palace. The Badi Mahal is also known as Garden Palace, which is in the middle of the palace. This palace is 27 meters high, constructed from natural stone. Amar Vilas is the highest court of the premises, which is a high garden. From here we can enter the Badi Mahal. In the form of Anand Mandap, it has been constructed in accordance with Mughal art. We also see marble workmanship in Amar Vilas. 'Amar Vilas' is the highest part of the city palace and there are high gardens on which fountains and towers are engaged. Sheesh Mahal was constructed in 1716 by Maharana Pratap for his wife, Maharani Ajde. Small pictures have been stored in Bhim Vilas, in which the stories of Radha-Krishna have been depicted. In 1974 some parts of the City Palace and the Janana Mahal (Women's Room) were converted into a museum. The general public can also enter this museum. Nearby restaurants are Amrit Sagar, Sunset Terrace, The Whistling Teal, Lake View Rooftop restaurant. It is a must visit place for every tourist and history enthusiast. The history and culture of Mewar can be easily understood by the one visit to City Palace Udaipur.